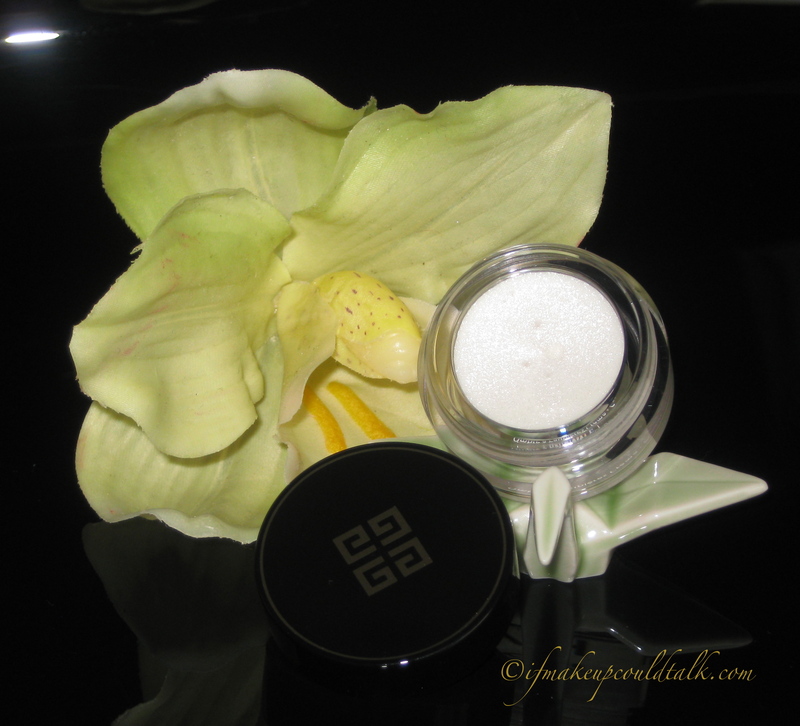 Givenchy 9 Brun Cachemire Ombre Couture Cream Eyeshadow review and photos. When Sephora holds a VIB sale, that is the time to partake in some unscrupulous spending 🙂 Seriously, even though my dark side wanted to dive into the recent 15% VIB sale without a care in the world, my rational parental side reminded me, I have two future college educations to consider. 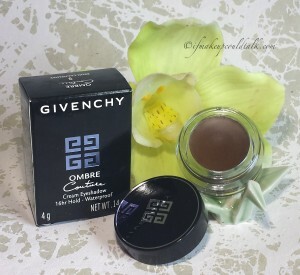 Anyway, enough with my temporary moral ramblings; one of the items I decided to purchase was Givenchy 9 Brun Cachemire Ombre Couture Eyeshadow ($23 USD/4g.). Seeing as how I absolutely adore my other three shadows from the line, I figured this was the perfect opportunity to round off my Givenchy cream eyeshadow collection. 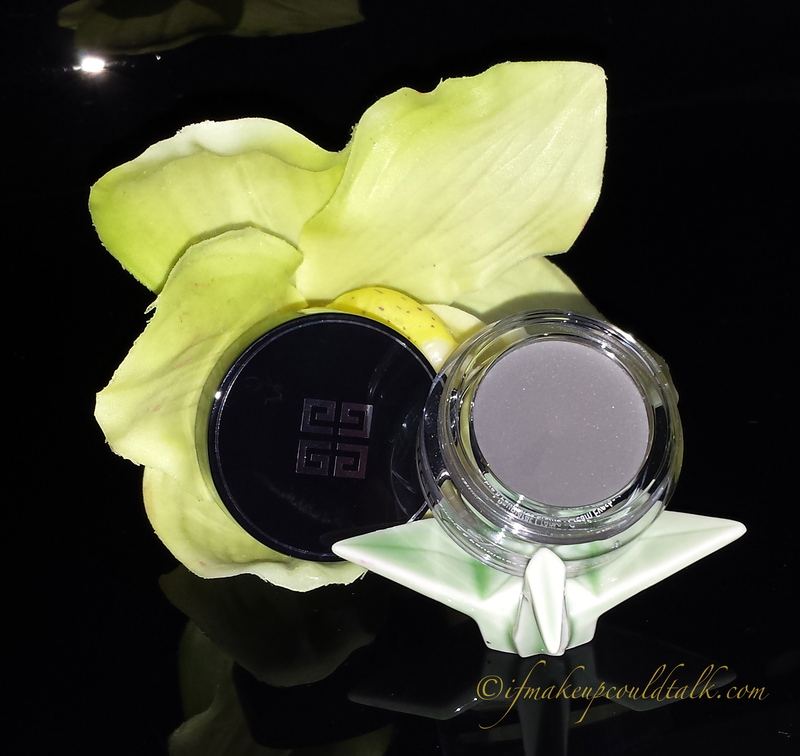 Givenchy 9 Brun Cachemire Ombre Couture Cream Eyeshadow (say that five times) is just as rich and luxurious as it’s siblings: 7 Gris Organza (reviewed here), 1 Top Coat Blanc Satin (reviewed here), and 6 Kaki Brocart (reviewed here). 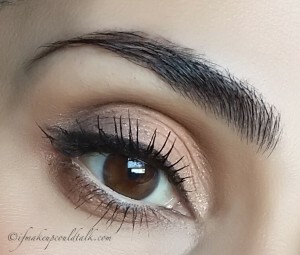 This chocolate-brown cream-to-powder eyeshadow with delicate bronze and gold shimmers, is a beautiful everyday staple that will work as a stand alone color or as a base for powder eyeshadows. 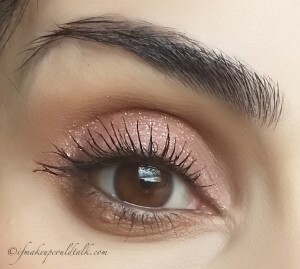 Being that the shimmers are part of the cream, there is absolutely no shimmer fallout. 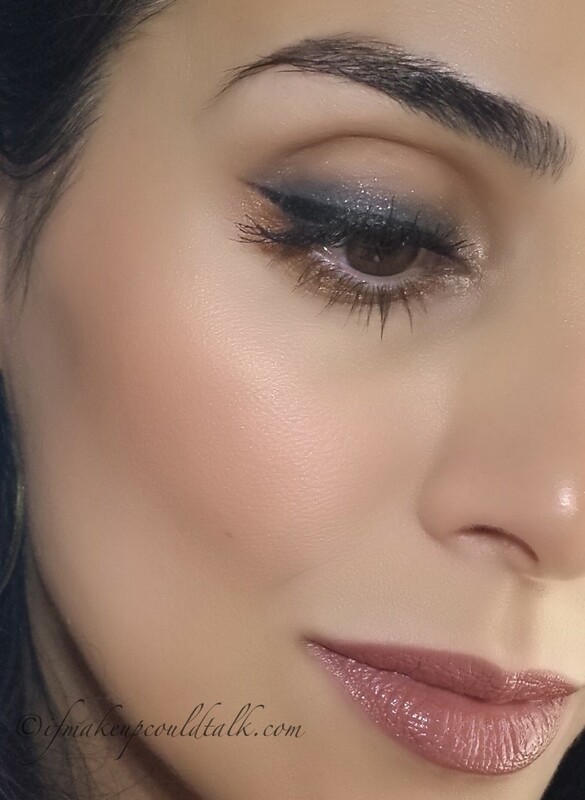 The shimmers in 9 Brun Cachemire are so finely milled, contained and sophisticated, any age group can comfortably sport this eyeshadow for any occasion. The lack of red undertones also makes Givenchy 9 Brun Cachemire a universally flattering color for all eye colors and skin tones. Darker skinned beauties can utilize this particular color to even out lid coloring and/or as a stand alone eyeshadow for an instantly polished look. Givenchy 9 Brun Cachemire Ombre Couture Cream Eyeshadow (natural lighting). 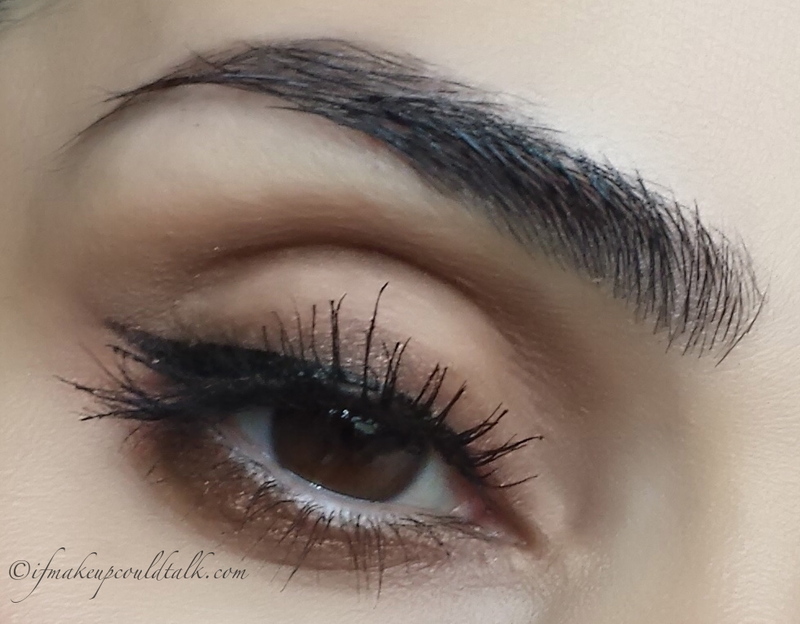 The above photos show the warm nature of the 9 Brun Cachemire against my brown eyes. I like to shade the upper lash line and blend out the color midway up the lid. 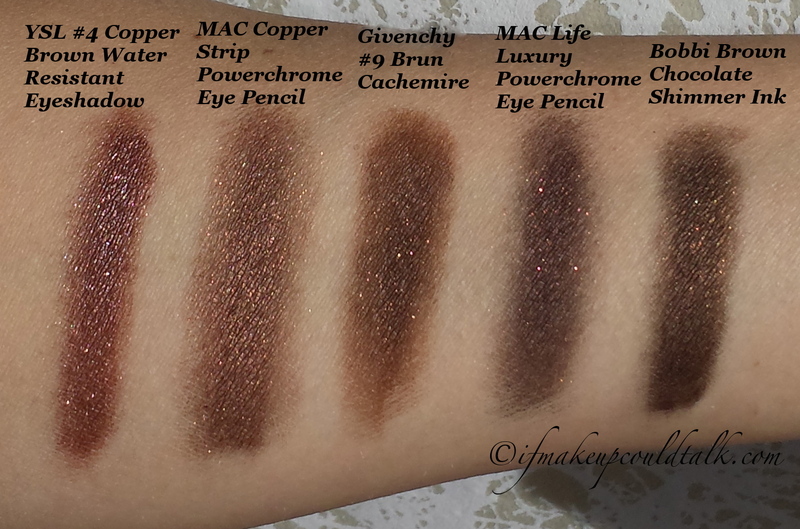 As you can see, in certain lighting conditions, the shimmers are hardly detectable. However, when faced with LED lighting or sunlight, the bronze and gold shimmers reflect ever so slightly, giving the color some interest and dimension. Givenchy 9 Brun Cachemire Ombre Couture Cream Eyeshadow topped with Bobbi Brown Espresso Eyeshadow and then lightly topped with a touch more of 9 Brun Cachemire. 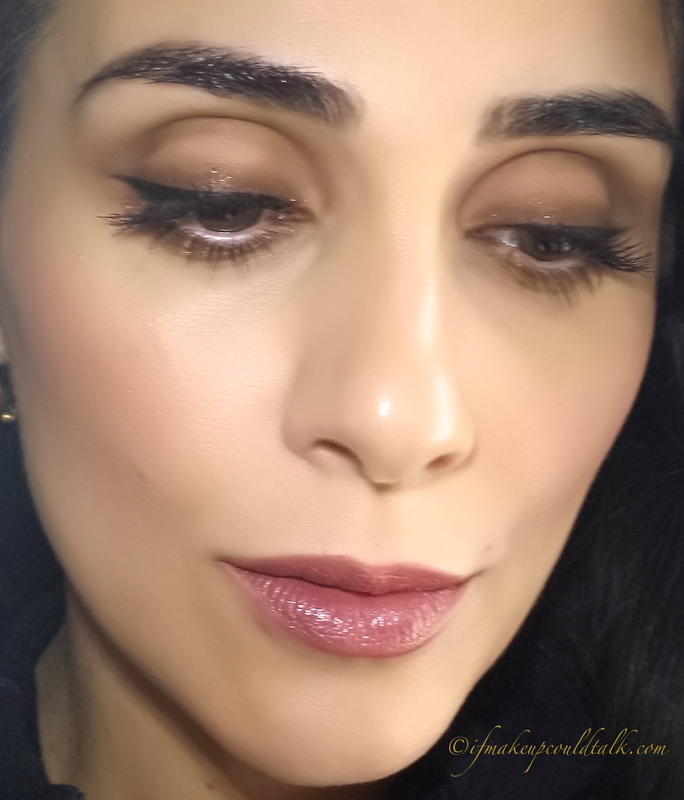 Givenchy 9 Brun Cachemire Ombre Couture Cream Eyeshadow topped with Bobbi Brown Espresso Eyeshadow and then lightly topped with a touch more of 9 Brun Cashmere. For the above photos, I decided to layer cream and powder interchangeably to see if the results would cake or become patchy. 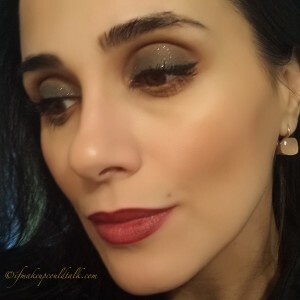 Bobbi Brown Espresso Eyeshadow was used on top of 9 Brun Cachemire, then I decided to layer another smattering of BC on top of BB Espresso to bring out more of the bronze/gold shimmer. As you can see, the results were smooth and even. You could keep on going with this pattern until you have reached your desired intensity. This cream-powder-cream concoction lasted all day (13 hours with Nars Eyeshadow Base) without any color fading or migration. I really cannot wait to see how Givenchy Ombre Couture Cream Eyeshadows perform during the summer. YSL #4 Copper Brown Water-Resistant Eyeshadow, MAC Copper Strip Powerchrome Eye Pencil, Givenchy 9 Brun Cachemire Ombre Couture Cream Eyeshadow, MAC Life Luxury Powerchrome Eye Pencil, and Bobbi Brown Chocolate Shimmer Ink. 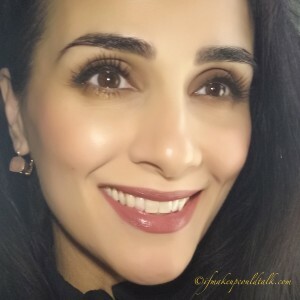 Application was achieved using a synthetic brush: Sonia Kashuk (shown here) or my trusty Billy B #12 Brush (reviewed here). Fingers can be used when applying the color on the entire lid, but due to my choice of color placement, a more precise tool was required. As mentioned in my previous reviews, the dry-time is very forgiving; however, once the shadow sets it does not budge. 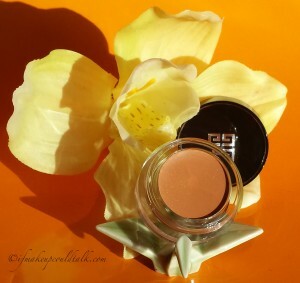 Givenchy 9 Brun Cachemire Ombre Couture Cream Eyeshadow can be found at Sephora.com. 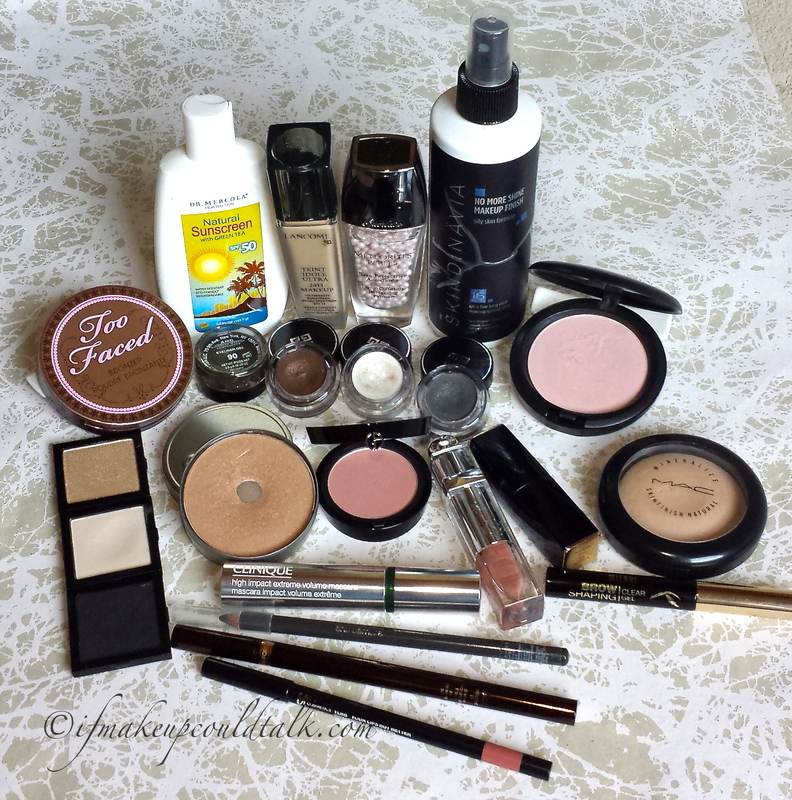 THE VERDICT: If makeup could all what would it say? 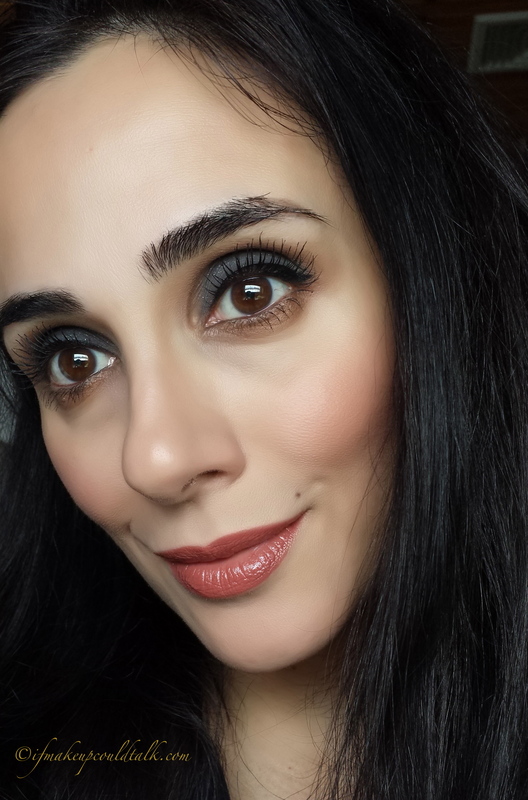 Makeup would tell you Givenchy 9 Brun Cachemire Ombre Couture Cream Eyeshadow is a beautiful everyday neutral color. At first glance, this may not invoke feelings of excitement; nevertheless, it is the simple unassuming shades that are admired and utilized the most often. I hope you found this helpful…For all those who celebrate Easter…I wish you all a Happy and Healthy Holiday!!! Be well and stay safe. 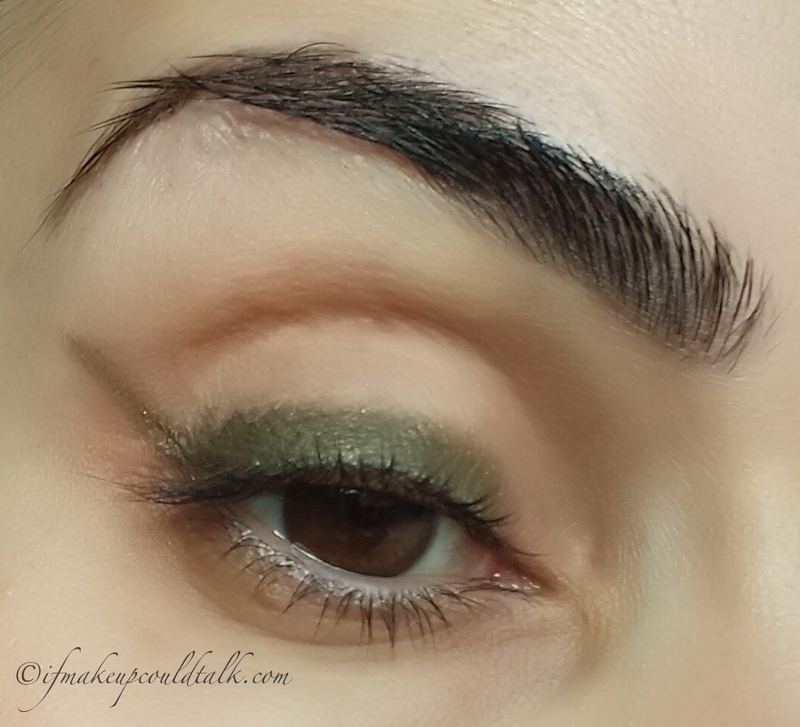 Givenchy 6 Kaki Brocart Ombre Couture Cream Eyeshadow review, photos and application. Givenchy 6 Kaki Brocart Ombre Couture Cream Eyeshadow. Admittedly, green eyeshadows are far and few between in my collection. Other than Burberry Khaki eyeshadow (reviewed here), green eyeshadows generally do not suit my light olive skin tone; they seem to accentuate the swallow undertones in my complexion. However, Givenchy 6 Kaki Brocart Ombre Couture Cream Eyeshadow ($23 USD/4g) is a stunning shade of green that would compliment many skin tones and eye colors. These eyeshadows apply beautifully and their long-lasting feature make them too alluring to resist. 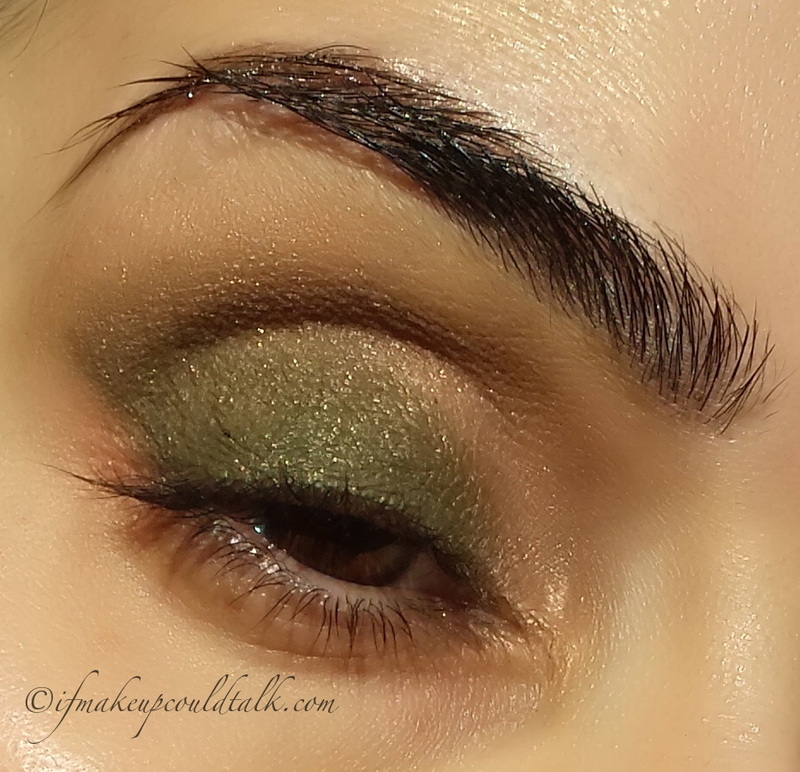 Givenhy 6 Kaki Brocart is a beautiful Chartreuse green with micro gold shimmers. The gold shimmers (not sparkles) are so finely milled and well blended within the formula, that they give the shadow a unique velvety satin finish. 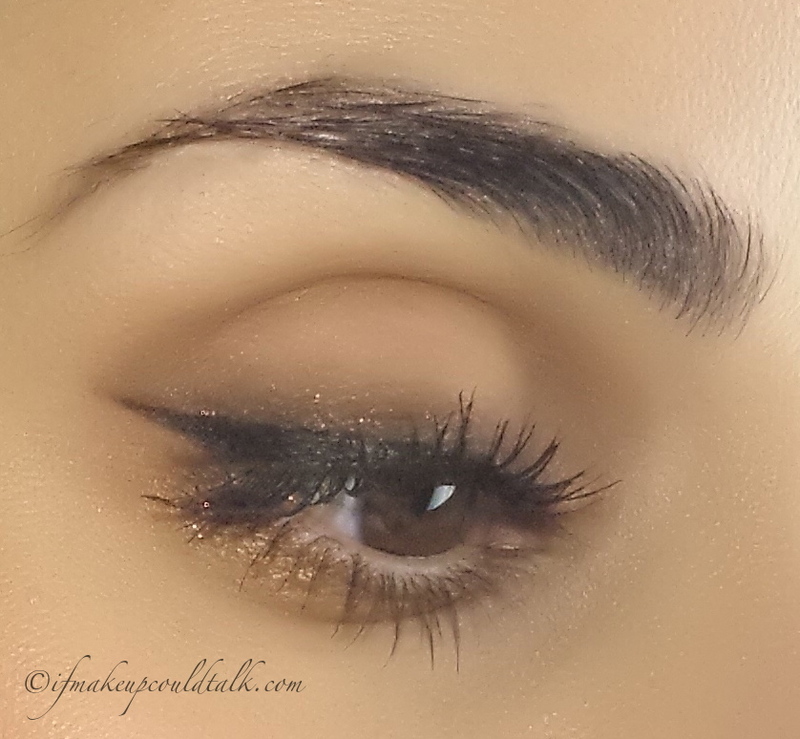 The subtle golden sheen is quite attractive and versatile; this is one color that can be worn for any occasion. 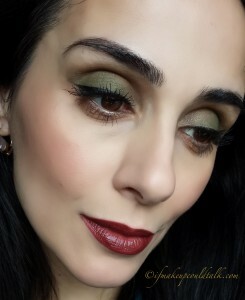 The above color combination wore for 13 hours, over Nars Eyeshadow Base (reviewed here) without any fading. Luckily, shimmer fallout is not an issue with this shadow, because as mentioned, the shimmers are part of the cream formula rather than a separate entity. The smooth cream-to-powder formula and dry time is so forgiving that one can really take their time with color placement and blending. However, once the shadow sets it does not budge. Sephora states Givenchy Ombre Couture Cream Eyeshadows can be used as eyeshadow bases for powder shadows. IMHO, not all the colors can be used in that fashion. Givenchy 6 Kaki Brocart dense texture make it suitable to be used as a base, but the color is too pretty to cover-up. 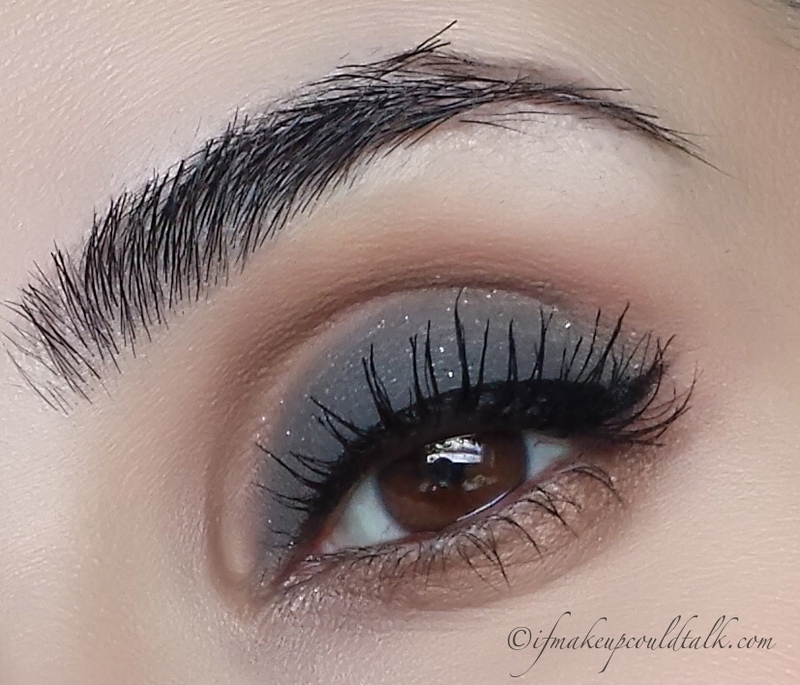 Givenchy 7 Gris Organza (reviewed here) is such a dark matte gray color to begin with, I would find it counterproductive to place a darker shade on top. 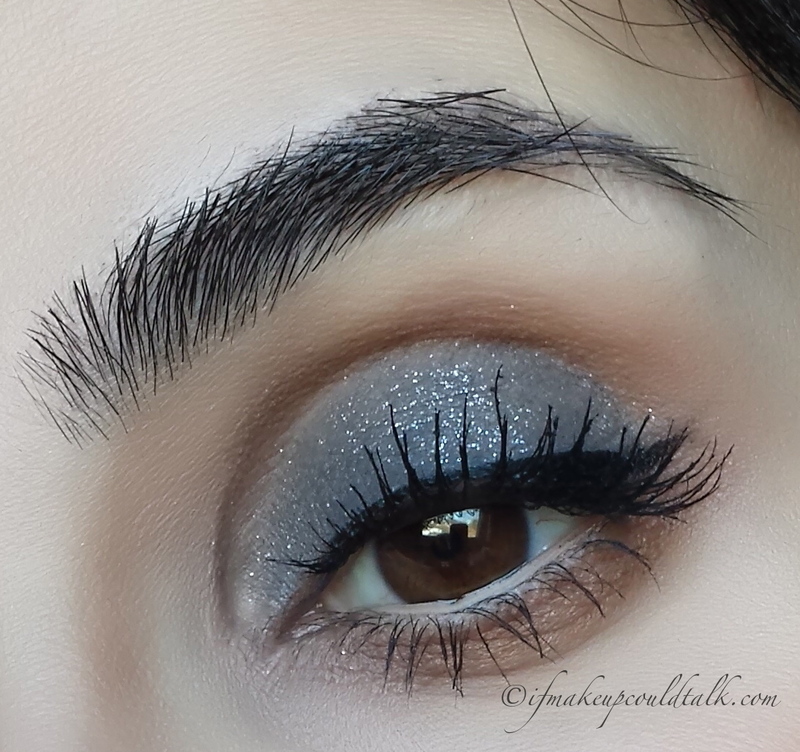 In addition, constant blending may disturb the shimmers and cause fallout. Givenchy 1 Top Coat Blanc Satin (reviewed here) is a top coat..need I say more? 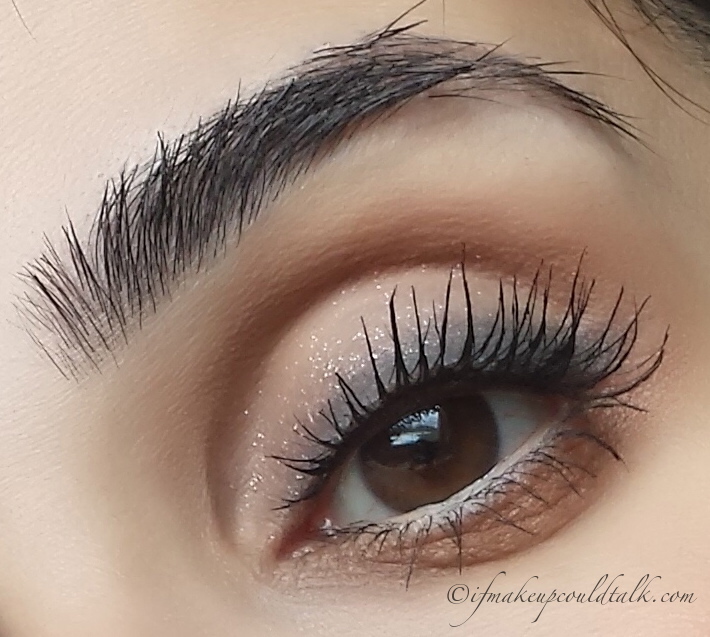 Givenchy 2 Beige Mousseline (discussed here) would be prefect as a base coat, if it did not contain silver shimmers. Too Faced Chocolate Bronzer, Givenchy 6 Kaki Brocart, Burberry Pale Barley, Bobbi Brown Navajo Eyeshadow (discontinued), and Sonia Kashuk Synthetic Concealer Brush. 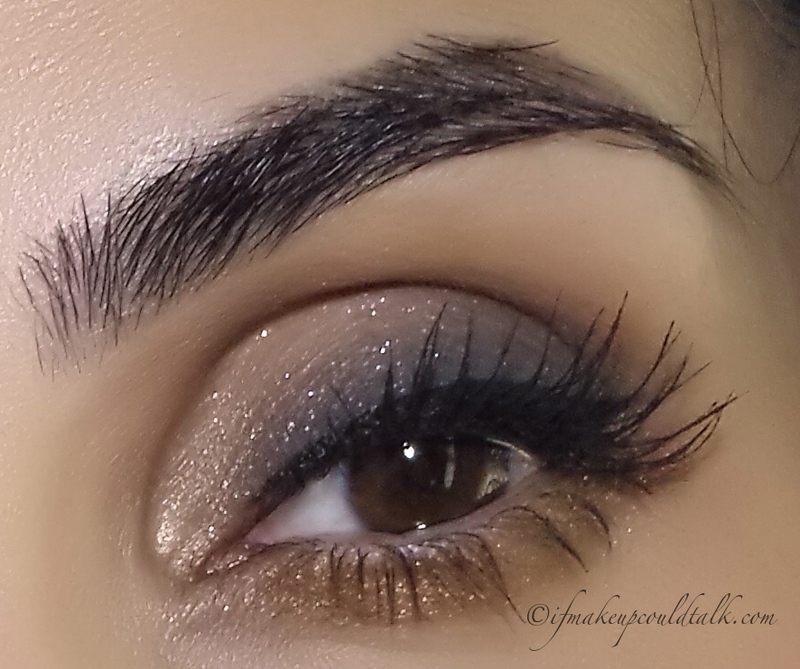 First apply an eyeshadow base of your choosing. 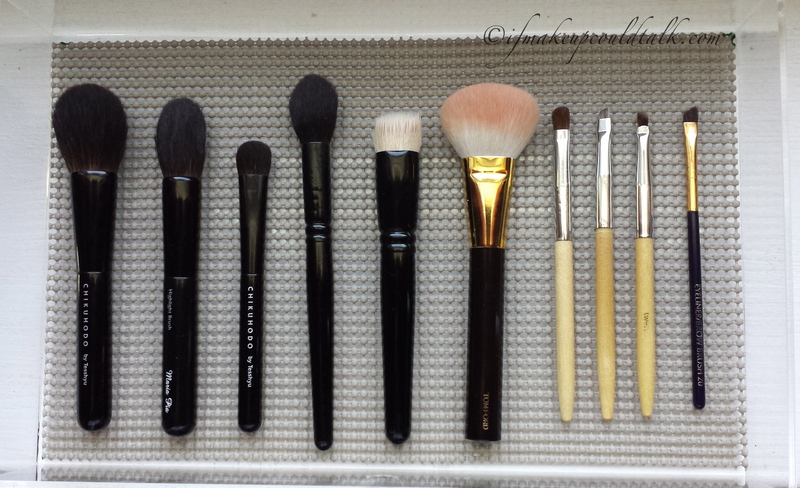 Then take a synthetic brush and outline your preferred shape with Givenchy 6 Kaki Brocart. I like to draw a line from the corner of my eye toward the outer edge of my eyebrow and use that as a guide for color and liner placement. From where the guide line has been placed, take your brush and begin feathering the color inwardly (in one direction) towards the nose in a wedge shape, rather than blending back and forth. This method works nicely to avoid, what I like to call, eyeshadow rippling. 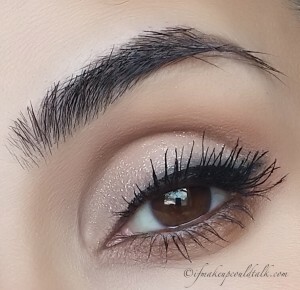 Mature eyes lids would also benefit from this blending technique. 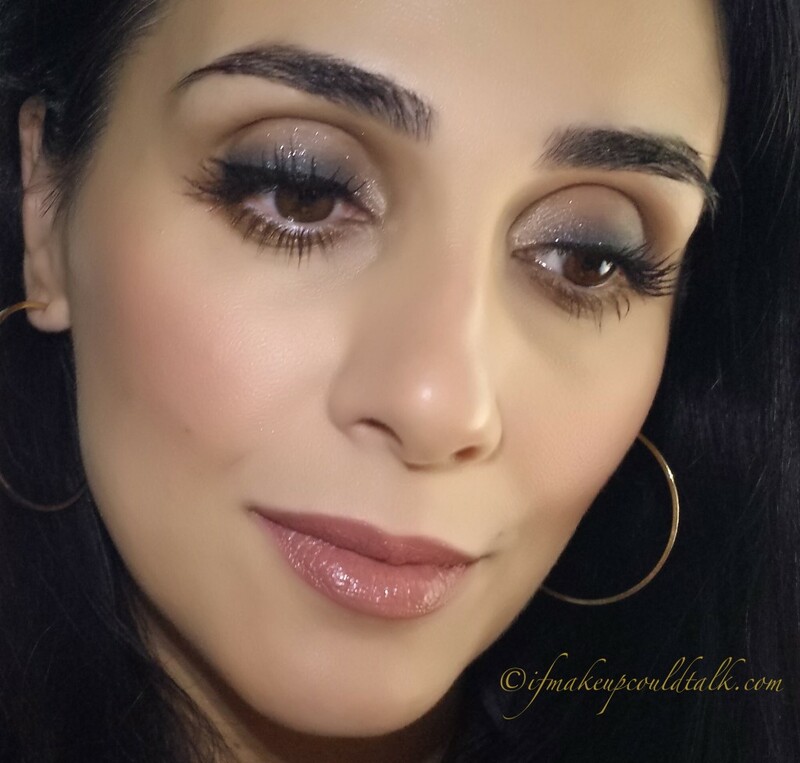 Givenchy 6 Kaki Brocart Ombre Couture Cream Eyeshadow with Too Faced Chocolate Bronzer in the crease and Burberry Pale Barley. Using a tapered brush, use your bronzer to blend out the edges of Kaki Brocart and bring the bronzer color up into the crease. 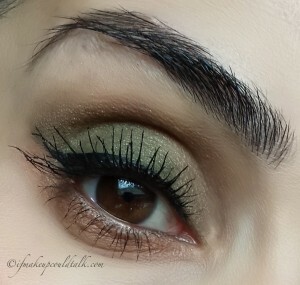 I also added Burberry Pale Barley to the inner ¼ of my eye and blended it slightly onto Kaki Brocart. 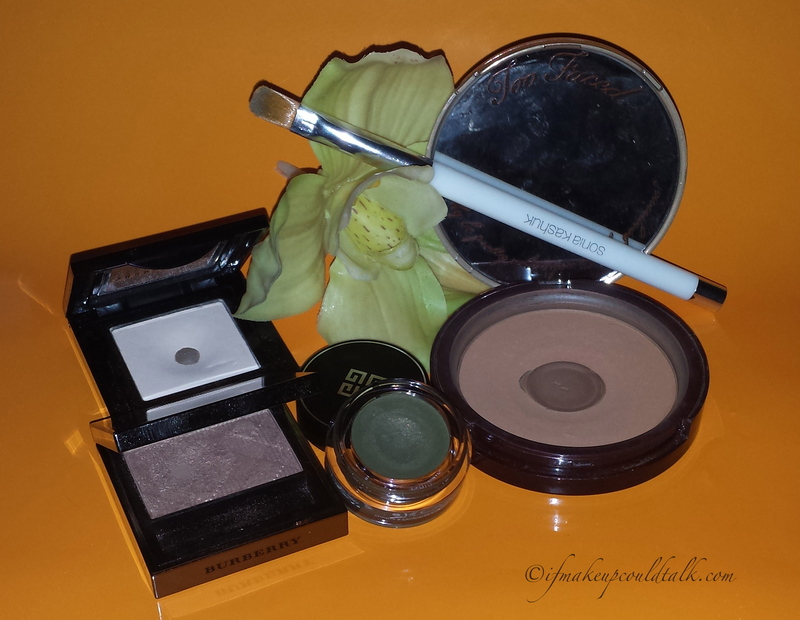 Blend out any harsh bronzer edges and highlight the brow bone with a matte white/cream-colored eyeshadow. 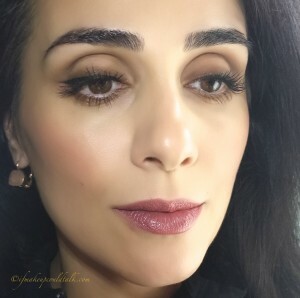 I used my Tom Ford Eye Defining Pen (reviewed here) to line my upper lash line and a combination of Too Faced Chocolate Bronzer and Cargo Water Resistant Bronzer to line the lower lash line. 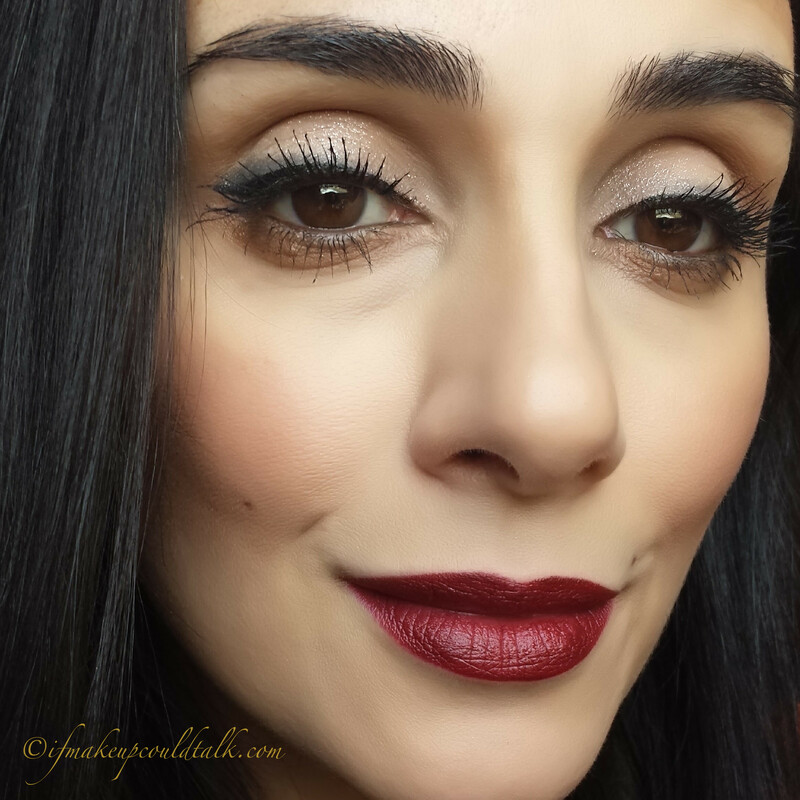 Add your favorite mascara and inner waterline liner and you are done. 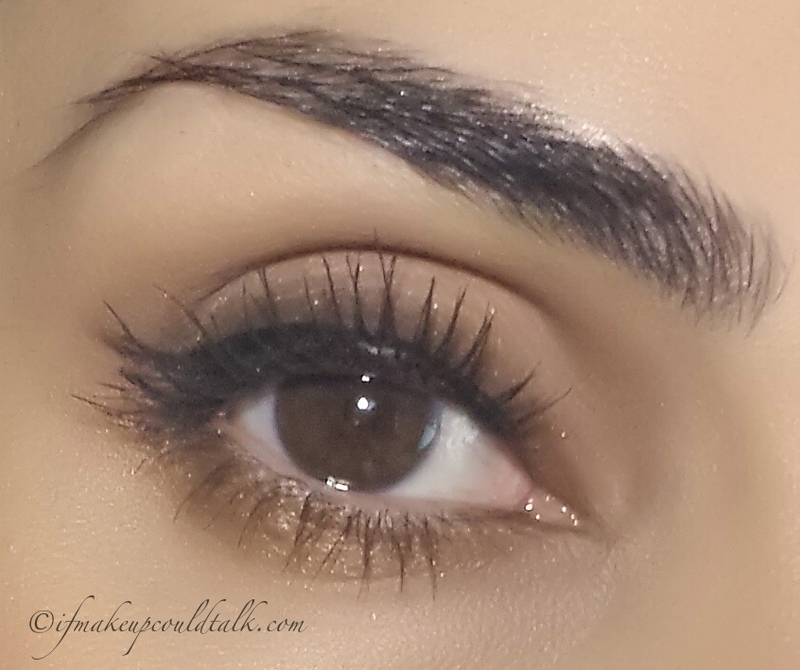 Givenchy 6 Kaki Brocart Ombre Couture Cream Eyeshadow can be found at Sephora. 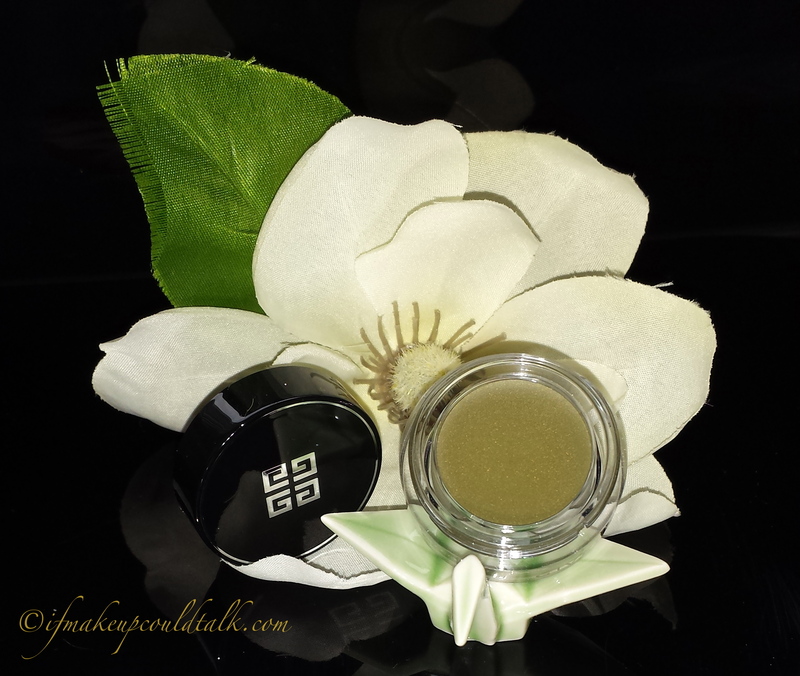 Makeup would tell you Givenchy Ombre Couture Cream Eyeshadows are fabulous! I adore the formula, wear and colors. 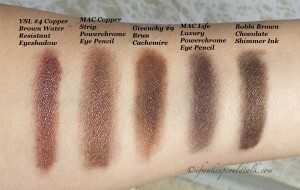 It would be interesting to see if these eyeshadows hold up during NYC’s sweltering summer days. Can you tell I’m ready for warmer weather? Be well and stay safe. Ifmakeupcouldtalk.com is not affiliated with any brands mentioned, all products were purchased by me. *This post contains some store affiliate link. *Compensation is not given for any reviews. *Click on each photo to enlarge. *Click on the rose highlighted words to take you to a direct link to each product. *All opinions are my own and based on my experiences. *All photos are property of Ifmakeupcouldtalk.com unless otherwise noted.